On Saturday 21st October 2017, the British Gymnastics National Awards was held, at the Imperial War Museum, Duxford. It was a great event with an amazing atmosphere which was shown by the amount of happy faces throughout the evening. The South East had a number of awards received which was absolutely fantastic. Sue James won the Frank Edmonds Trophy. This award is presented to individuals, who, as volunteers, have gone ‘above and beyond the call of duty’ for gymnastics. 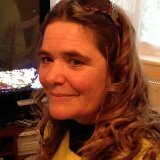 Sue is currently serving as Events Director for English Gymnastics and Secretary and Treasurer for South East Gymnastics. She supports all the South East regions artistic events, all Board meetings, the bursary system and conferences and continues to be the main officer the region resolves around. 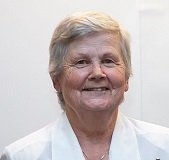 On top of her huge contribution to the region, Sue holds a senior position with English Gymnastics, organising several large competitions a year and playing yet another pivotal role. Absolutely amazing, Well Done Sue! Dawn Hyland received the National Safeguarding Award. 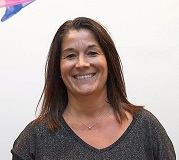 Dawn is a volunteer regional welfare officer who regularly attends meetings as directed by British Gymnastics, to determine the validity of complaints and safeguarding issues. Her professionalism is exemplary in gathering information in distressing situations. She is also pro-active in addressing potential issues and has an open and friendly manner when carrying out audits at clubs who asked for help. Congratulations Dawn! Sadie Herbert was awarded with the Award of Merit. This is presented to those individuals who have provided an outstanding service to both British Gymnastics and the gymnastics community for a minimum of seven years. Sadie is a brevet judge in Women’s Artistic Gymnastics, having worked in the field for over 20 years. Sadie is also a judging tutor for the South East. Great work Sadie! Mike Phillipson received the Nik Stuart Honorary Life Member Award. This award recognises outstanding service to British Gymnastics and Gymnastics at a National level for a minimum of ten years. Mike’s dedicated service to Trampolining and Double Mini Trampoline has spanned over three decades. 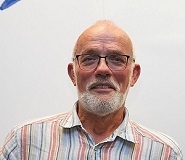 He has been an International brevet judge since 1985, and has represented British Gymnastics at no fewer than eight World Cups, four Senior World Championships, One Olympic Test Event and was even selected as a technical officer at London 2012. Mike has also overseen hundred of judge education courses and spent countless hours mentoring and guiding aspiring judges of all levels. Congratulations Mike! Congratulations to Courtney Tulloch and James Hall as well for being nominated for the Outstanding Performance at the 2017 Artistic European Championships. James won all-around bronze in his first major international competition – “I’m struggling to speak right now; I can’t believe what’s just happened. I’ve performed my best gymnastics when it matter on the biggest stage of my career. That’s just crazy. It’s hard to get my head around to be honest. Overall, the South East had an amazing night of success, with many awards and nominations. Congratulations to everyone from the South East and well done to everyone who also received awards!